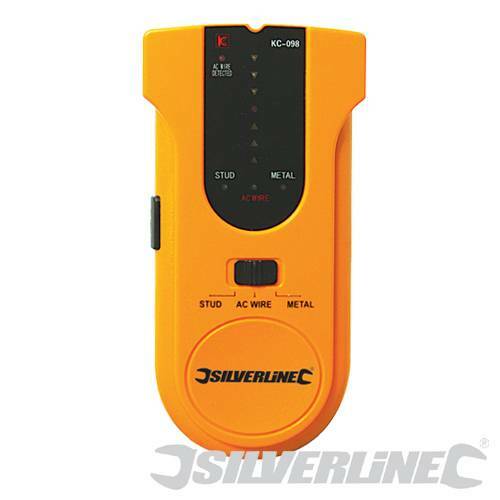 Self-calibrating 3-in-1 detector for detecting timber such as studs and ceiling joists, live AC wire and metal objects. Dual LED and audible detection warning signals. Requires 1 x 9V (PP3) battery (not included).